Empire State Kickball is a coed, recreational sports league (21+) that is owned and operated by a Capital Region native. 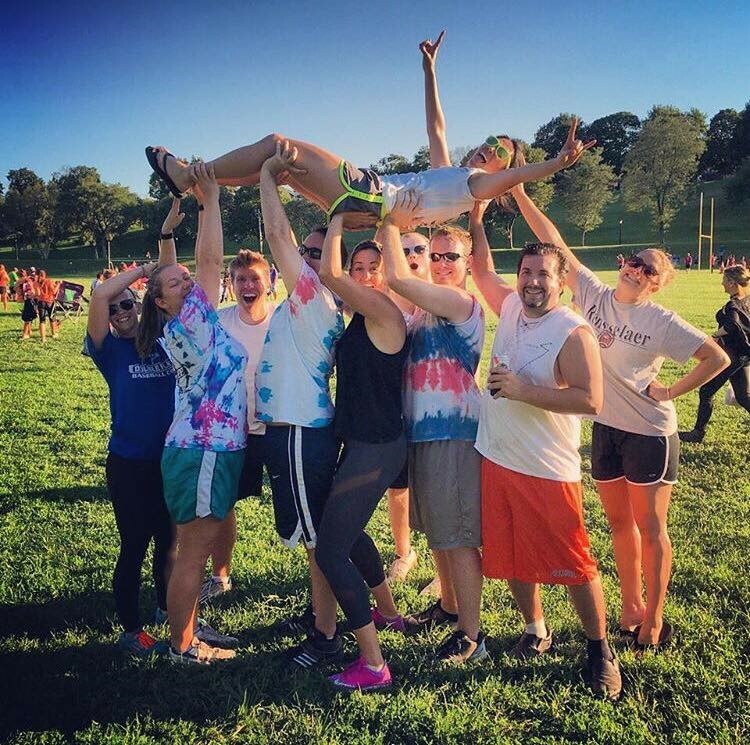 Empire currently offers Tuesday and Thursday kickball leagues in the spring, summer, and fall as well as outdoor volleyball, and indoor volleyball in the winter months. After weekly games, teams head to a local bar to socialize with other league members. Additionally, each session ends with a party so everyone can get together before the next session begins. At the end of session party we provide food, drinks, and always raffle off some pretty good gifts. Here at Empire, our main goal is to help bring people together from different backgrounds while providing a fun, positive environment. It is our mission to create leagues where participants have the opportunity to enjoy recreational sports and develop both personal and professional relationships. Empire offers a great opportunity to those who love good spirited competition, staying active, meeting new people and most importantly, having fun. Anyone with an open mind and willingness to have some good old fashioned fun is encouraged to join. If you have any questions or comments, please contact us.